Since the founding of AVIS in 1894, generations of its members have worked to beautify and preserve Andover’s open space. At the current time, about 1300 conserved acres– woodland parcels, meadows, wetlands and river banks– protect trees, plants, wildlife and scenic beauty. Walking trails have been marked and maintained for public use. Throughout the years, these properties have provided town residents with a natural refuge from the stresses of an ever-changing world. 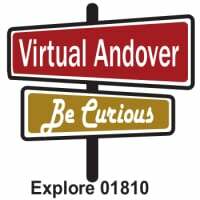 View Breathing Places in the gallery at the Andover Center for History & Cutlure to learn more about the Andover Village Improvement Society (AVIS) and celebrate the organization's 125th Anniversary.